You can pre-order Knights of Fate at your local retailer or online through our website, then read on for more information! The galaxy is in turmoil. The strength and enlightenment of the Jedi has been replaced by the cold steel of the Empire. The purge of the Jedi extinguished a beacon that had illuminated society for thousands of years, fostering peace, exploration, and growth. However, in this difficult age, the path to true peace is beset by lies, paranoia, and isolation. These are not foes that Warriors are often prepared to face. A Warrior’s role in their party is not merely a vehicle for violence. Warriors are a safeguard against the countless dangerous environments of the galaxy that require a guiding light. 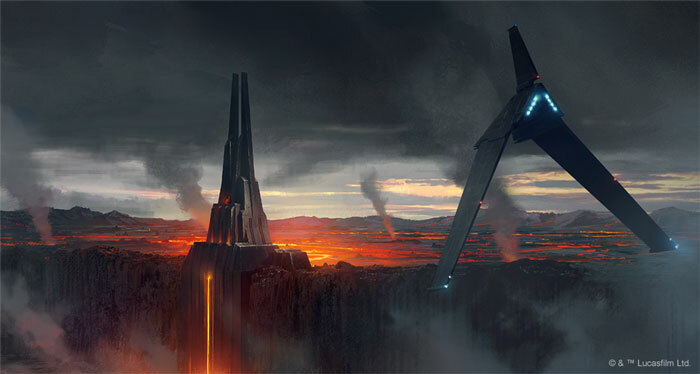 An ancient Sith temple may hold vast repositories of forgotten knowledge, but a Mystic could not hope to overcome the prowling, corrupted beasts that have claimed the vacant structure. A Sentinel may successfully identify and track down a violent street gang harassing innocent civilians, but they may be ill-equipped to handle the gang’s collection of heavily armed sentry droids. A Guardian might establish contact with the leader of a Rebel cell and decide that speed is more important than discretion in their mission to evacuate with a defecting Imperial governor. Scenes and encounters such as these highlight the Warrior’s prowess while tying the struggle to non-combat story threads. In Force and Destiny, Warriors must frequently confront the inherent moral conflict of violence. To them, peace is not merely the absence of strife but the presence of justice and order. But the power that manifests itself so plainly in the Warrior is also their greatest danger. The Warrior must be ever-vigilant to protect their thoughts and intentions from the deception of the dark side. The fear and anger that can go hand-in-hand with battle may be a deadlier foe than any weapon forged by hand. Knights of Fate lends new meaning to your Warriors’ battles by introducing a new list of character Motivations. These Motivations, while certainly valid for any character, exemplify the active, goal-oriented nature of Warriors. Listed as Challenges, these Motivations can be better recognized as goals. The Liberation motivation, for example, might put your character directly at odds with the Empire, a Hutt crime syndicate, or other oppressive organizations such as slave traders. Acceptance can be hard to find in a galaxy hostile to Force users, and a character with this Motivation may see carving out their personal space as an analog for diminishing distrust in the population at large. Those who wish to attain the heights of the fabled fighters of the past exemplify the Recognition Motivation. 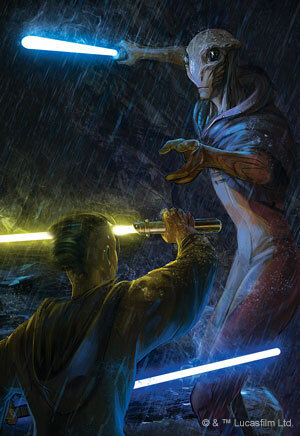 Wielding both deadly weaponry and the Force is a responsibility that should not be taken lightly. The temptations of the dark side have swayed even the most stubborn minds and the galaxy still suffers for it. Knights of Fate includes an arsenal of new equipment, droids, and vehicles perfectly suited for Warriors, as well as new options for campaign rewards such as titles and allies. Three brand new species enter the game, along with new specializations for Warriors—including one focused on Mace Windu’s contentious Vaapad lightsaber fighting style! 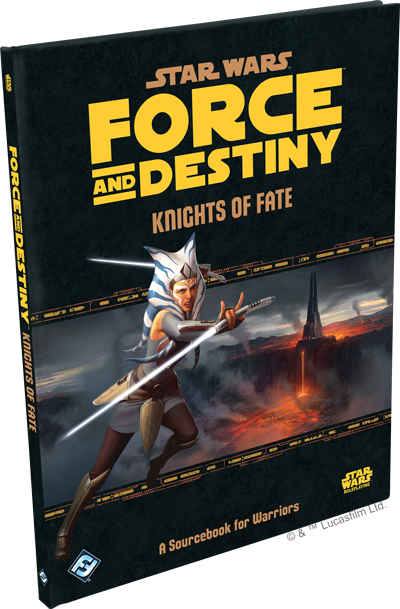 Join us soon for more previews of what Knights of Fate will bring to bear on your games of Force and Destiny! Look for Knights of Fate (SWF46) in the second quarter of 2018 and pre-order your copy at your local retailer or online through our website today!